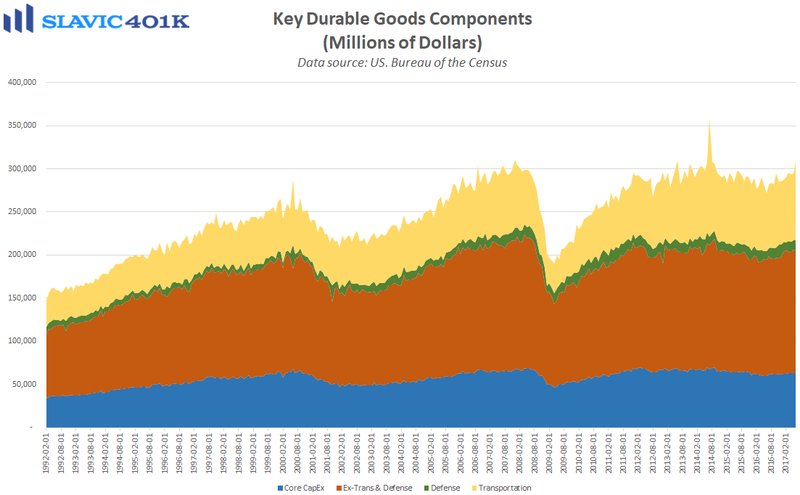 A new report from the Census Bureau showed that orders for U.S.-manufactured durable goods (items meant to last at least three years) jumped in June by $14.9 billion (6.5 percent) to $245.6 billion. That was the first monthly gain since March and the largest sequential increase in roughly three years. The May figure was also revised higher, which together with the strong June print helped lift the year-over-year pace of growth to 16.1 percent, the best reading since July 2014. Most of the headline gain was due to a one-time, 131 percent spike in aircraft orders. 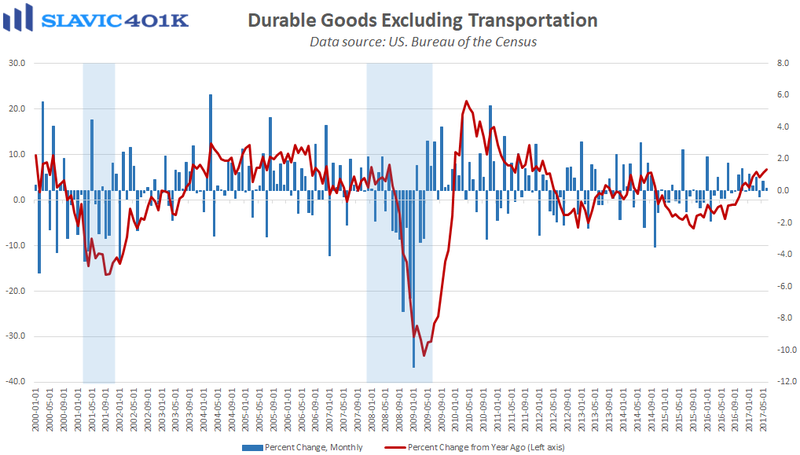 Further, “core” durable goods orders, which exclude the volatile transportation component, rose by just 0.2 percent in June. That was half the gain that economists had anticipated but the prior month’s figure was encouragingly revised higher. 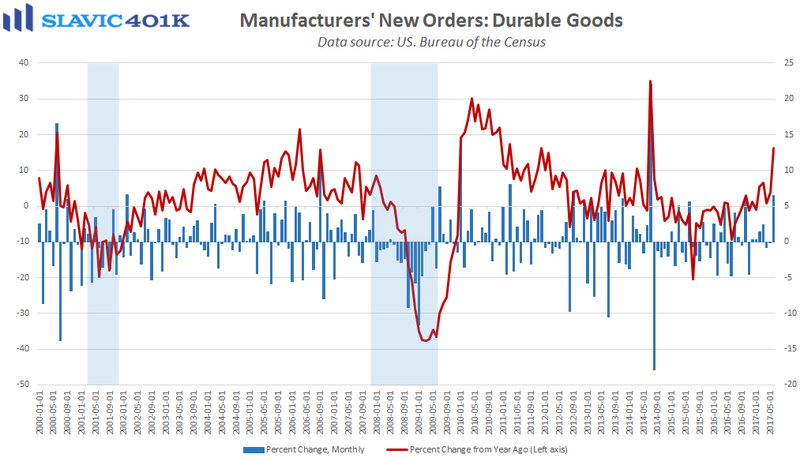 As a result, the annual pace of growth for core durable goods lifted to 6.8 percent, the best reading since February 2012. However, orders for nondefense capital goods excluding aircraft, i.e. 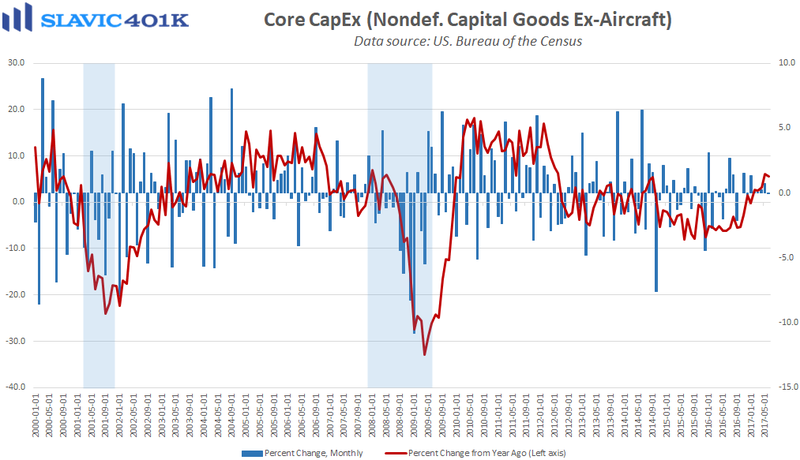 core capital expenditures, an important proxy for U.S. business investment, fell by 0.1 percent in June, well below the expected 0.3 percent gain. Overall, though, this was a generally positive report that should cause analysts to raise their projections for U.S. gross domestic product (GDP) growth in the second quarter of 2017. We will find out for sure when the government’s first official estimate of Q2 GDP growth is released tomorrow morning.